Missed a report? Want a copy of something featured on CTV Kitchener? You should find all the information you need here. If you know which report or interview you are looking for, please print out and complete the forms and email them to receptionkitchener@ctv.ca. Please note that both forms must be signed for your request to be completed. The cost of a request for personal viewing only is $90.00. Take the opportunity to join a winning team. 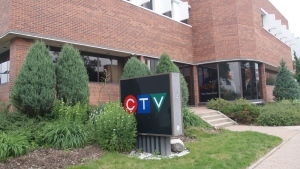 CTV offer a variety of career opportunities in the broadcasting field. All current job openings with CTV Kitchener and the CTV affiliate stations across Canada are posted here. CTV is pleased to accept your resume/application for employment with our company. Your personal resume/application will be kept in a confidential, secure file and will be restricted for viewing by those company officials who conduct hiring. CTV is committed to fair and equitable Employment practices. Our organization recognizes the value of diversity in our workplace and we foster an environment based on dignity and mutual respect.